Beto O'Rourke apologized for joking during his first two days on the trail that his wife is raising their three children "sometimes with my help." For good measure, he admitted his white male privilege had benefited him, and said his preference for a running mate would be a woman. Trump continued: "Stop working soooo hard on being politically correct, which will only bring you down ... The losers all want what you have, don’t give it to them. Be strong & prosper, be weak & die!" Go deeper: Beto stumbles with out-of-the-gate gaffes. Wisconsin voters who supported Barack Obama in 2012 and Donald Trump in 2016 are sick of Trump, saying in a focus group that they're getting tired of his "lies" and how he treats people, Axios' Alexi McCammond reports from Appleton. That was the biggest takeaway from a focus group of swing voters last week, conducted by research firms Engagious and Focus Pointe Global. Be smart ... Their unhappiness with Trump reveals a larger re-election problem for him: Touting a strong economy and low unemployment numbers isn't cutting it anymore. It's not necessarily his politics that will be his downfall with these swing voters; it's his personality. 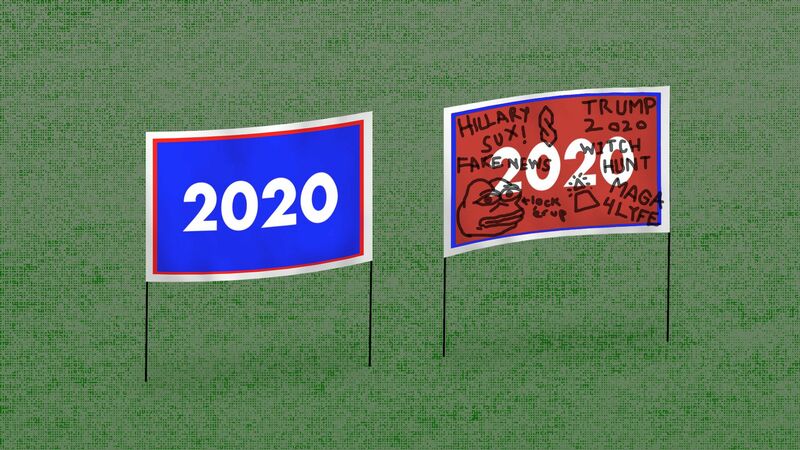 Between the lines: While many of these voters are completely disenchanted with Trump, they're not excited about any of the Democratic candidates. The only Democrat they are excited about is Michelle Obama. "The arrest of R&B singer R. Kelly on charges of sexually abusing girls as young as 13 has focused the lens of the #MeToo movement on underage victims, ... especially girls of color," AP reports. What's new: "Groups like Girls for Gender Equity and Girls Inc., a nonprofit with 81 chapters in 30 states, are working to help young women discuss sexual harassment, dating violence and other types of abuse." "Girls Inc. last year launched a #GirlsToo campaign to ensure that the voices of young survivors become part of the narrative on sexual misconduct." Why it matters: In the first prominent cases of the #MeToo era, the accusers were older, mostly white women. Michelle Grier, director of social work at Girls for Gender Equity, said the group wants to empower girls to recognize: "Oh, this movement is about ME, too." 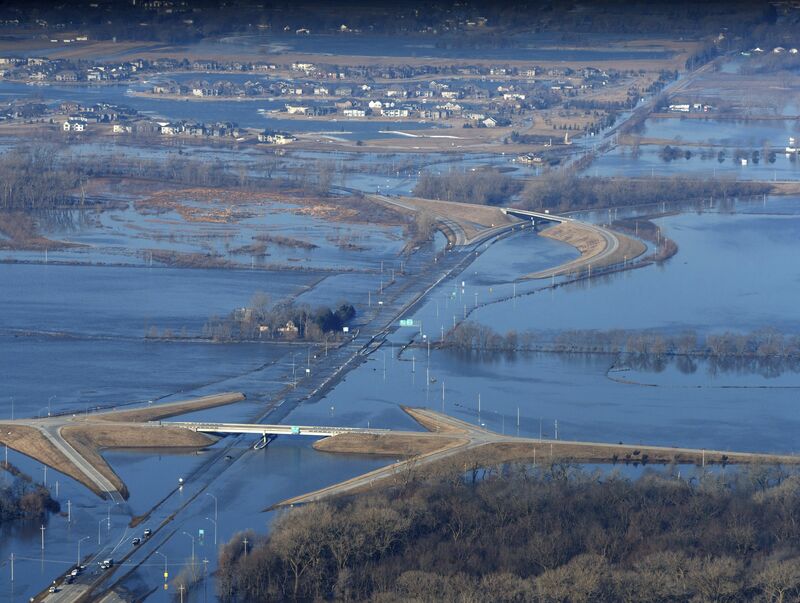 Hundreds of people were evacuated from their homes in Nebraska and Iowa as levees succumbed to the rush of water caused by heavy rainfall and snowmelt. Above, the Elkhorn River consumes part of Douglas County, where Omaha is the county seat. 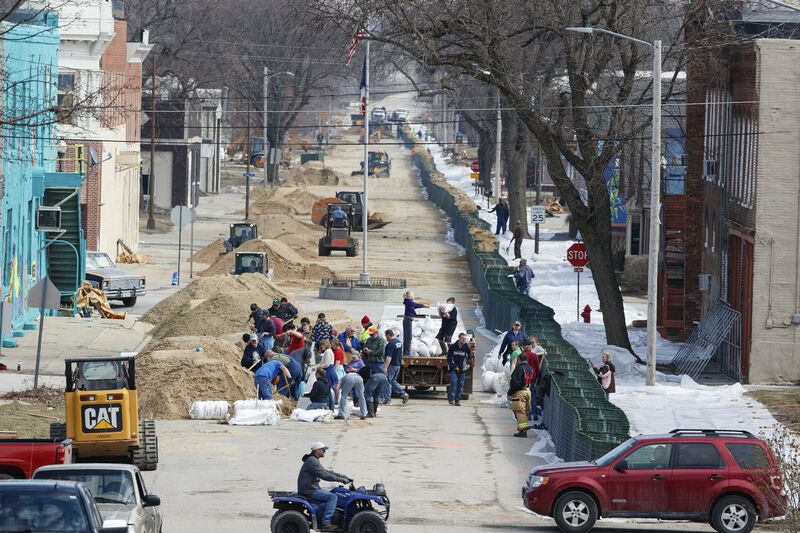 Below, residents fill sandbags and build a water-retaining wall yesterday to defend the town Hamburg, Iowa, from floodwaters. More photos: Staggering destruction from historic flooding in the Plains. 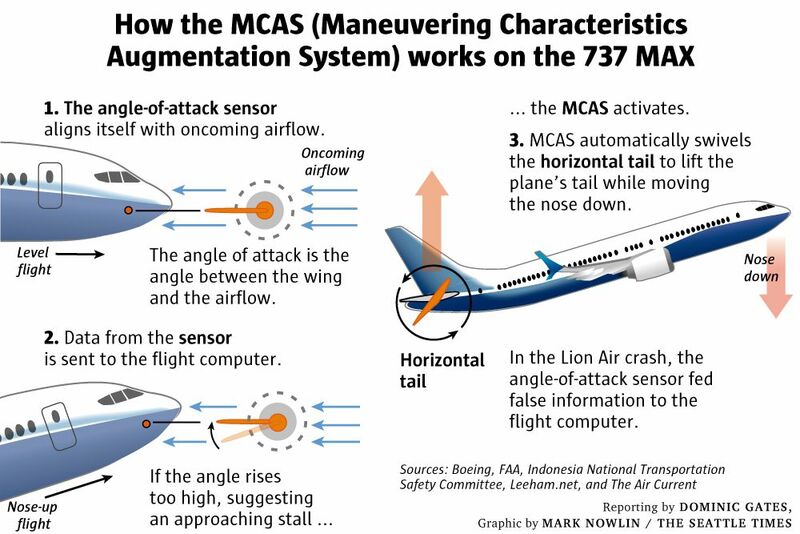 "A grand jury in Washington, D.C., issued a broad subpoena dated March 11 to at least one person involved in the 737 MAX’s development, seeking related documents, including correspondence, emails and other messages." "A Boeing spokesman declined to comment, saying the Chicago-based company wouldn’t respond to questions concerning legal matters or governmental inquiries." Tani Adewumi. Photos via the kind courtesy of Nick Kristof. 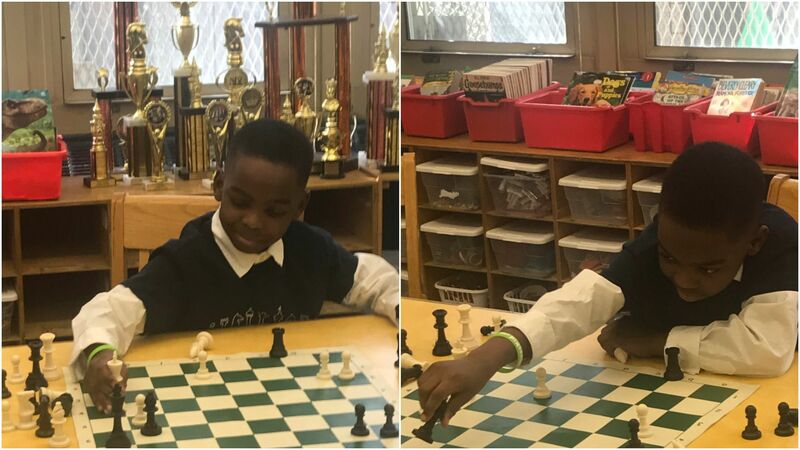 N.Y. Times columnist Nicholas Kristof introduces us to Tanitoluwa Adewumi, an 8-year-old Nigerian refugee who lives in a homeless shelter in Manhattan, and won his category (K-3) at the New York State chess championship. "Tani ... lies on the floor of the shelter and practices chess for hours each evening — now preparing for the elementary national championship in May." Why it matters: "Tani is a reminder that refugees enrich this nation — and that talent is universal, even if opportunity is not. Back in Nigeria, his parents say, his brilliance at chess would never have had an outlet." "The U.S. is a dream country," his dad told Kristof. "Thank God I live in the greatest city in the world, which is New York, New York." GoFundMe for Tani and his family. President Trump and congressional Republicans are outliers in an emerging consensus that climate change is a problem and that the government should pass new laws to address it, Axios' Amy Harder writes in her "Harder Line" column. Harder spent the first half of last week at a major oil and gas conference in Houston, where virtually all executives acknowledged climate change as a pressing issue. A few, including CEOs of major oil companies like BP and Equinor, implored the industry to do more and embrace big policy changes. "I think there is a general acceptance in the energy industry that there should be some kind of pricing on carbon emissions,” Charif Souki, a pioneer in the natural-gas industry and founder of Tellurian Inc., a gas export company, told Harder on the sidelines of the conference, CERAWeek by IHS Markit. The second part of the week, Harder was back in D.C., where Republican leaders of House committees held a news conference to criticize the Green New Deal but didn’t discuss policies they would pursue instead of it. Where it stands: The loudest GOP voices are those that make inflammatory or bizarre statements, such as likening the Green New Deal to genocide, or responding to a question about climate change by explaining photosynthesis. Matt Sparks, spokesman for House Minority Leader Kevin McCarthy, said: "Conservatives are leaning into the debate on our future. ... But whether it is a carbon tax or Green New Deal, the conventional conversation in Washington today has impacts that hurt working Americans." AOL co-founder Steve Case is embarking on a bus tour across Middle America, telling "60 Minutes" that he plans to use his $150 million "Rise of the Rest" fund to steer venture capital into overlooked cities like Indianapolis, Detroit and Memphis. "Right now, 75 percent of venture capital goes to three states: California, New York and Massachusetts. ... Most of the venture capital is on the coasts, not in the middle of the country and we just have to change that." "They have been forgotten. It's not about a feeling about being left behind, they have been left behind. We have to kinda level the playing field so everybody everywhere really does feel like they have a shot at the American dream. Right now, they don't." "Hillbilly Elegy" author J.D. Vance, a native of Appalachian Ohio, is Case's partner in the project. "I definitely had to defend this part of the world, had to defend some of the people who lived here. ... I think people are here because they care about their communities and they want to build something special here just as folks in San Francisco want to build something special there." 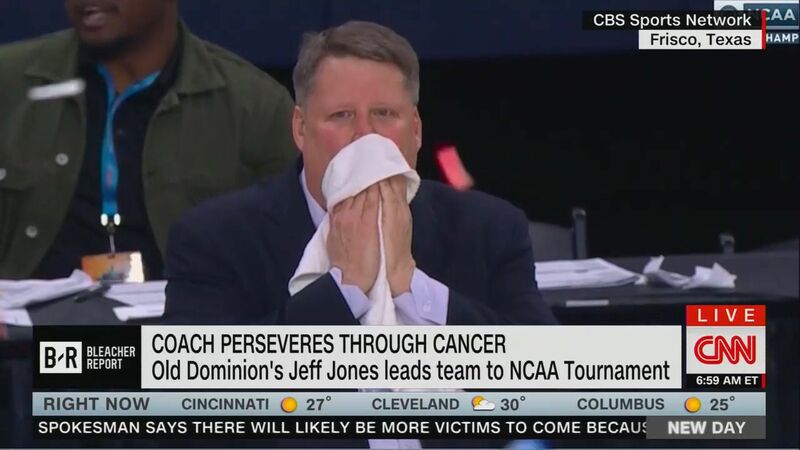 Passionate as ever as he battles cancer, head coach Jeff Jones of Old Dominion University in Norfolk, Va. led his Monarchs to the NCAA tournament by defeating Western Kentucky in the Conference USA championship Saturday night. "All he could do was stuff his face in a towel on the sideline as confetti fell and emotion overcame him," CBS' Sports Kyle Boone writes. "Jones, in his sixth year at Old Dominion, is headed to the NCAAs for the first time since took the helm for the Monarchs. That's enough reason to be emotional. Here's more: he announced last fall he is battling prostate cancer." Columnist Harry Minium writes that Jones, who recently became a grandfather, "didn’t have to tell anyone. He chose to in order to raise the awareness of prostate cancer." East: No. 11 seed Belmont over Temple and No. 6 Maryland. West: No. 12 Murray State over No. 5 Marquette. South: No. 14 Old Dominion over No. 3 Purdue. Midwest: No. 13 Northeastern over No. 4 Kansas.